In 2007, John Maloof, a Chicago collector, bought boxes full of film negatives from a local auction house as he’s working on a book of the Chicago neighborhood. When he printed the negatives, what he found out totally surprised him. It was thousands and thousands of stunning photographs of people and architecture of various famous cities. They were incredible! John immediately started researching for the photographer. Surely, a person this talented is celebrated and well-known. Whoever had taken these pictures is probably one of the most talented American photographers in America. But it took years before he found the photographer, and in the saddest place – a newspaper obituary. And even on the obituary, there was no mention that this person is a talented and prolific photographer. The photographer’s name is Vivian Maier. A nanny for nearly 40 years to wealthy families. She died not knowing that her work attracted critical acclaim and her photographs have been exhibited around the world. Maybe she really didn’t want to be known. Maybe she thought she’s not good enough. Maybe she’s just happy taking photos after photos of people and places around her. Maybe she didn’t want any kind of recognition. Maybe she wanted to share them but didn’t know who to contact. Lots of maybe’s. Regardless of her reasons, there are two things that I’m sure of. First, the world is a better place because of her decision to create something beautiful (she might not even think that they’re beautiful). And second, you shouldn’t wait for someone like John Maloof to share your work with the world. All of us – as in ALL OF US – has our very own unique and special gift that only we possess. We have our own voice. We passionately believe in something. We’re good with at least one thing. Maybe so good that we never even think of it and wonder why others struggle. And this gift and voice should be used for better good. When I met Sarah Suyom online, I’m immediately smitten. She’s intelligent, warm and confident. I love how passionate she is with makeup and bringing out the natural beauty of each of her clients. 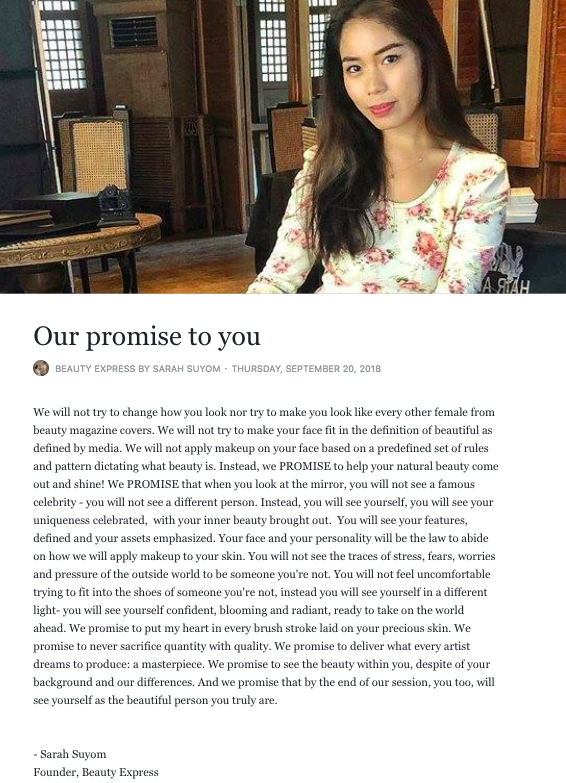 I can sense Sarah’s sincere desire to beautify all Pinays. For sure, Sarah started out with just a simple interest with makeup and now creating her own beauty empire starting with her own beauty studio. She’s following her heart and her art and using her gifts wonderfully. Are you passionate about our environment? Then use your voice to enlighten others. Sheila encourages her townfolks to take care of her beloved Madrid. By using their own dialect, her personalized message goes straight to the heart of her intended readers. Do you believe in any advocacy? Then speak up! Let your voice be heard. Give suggestions. 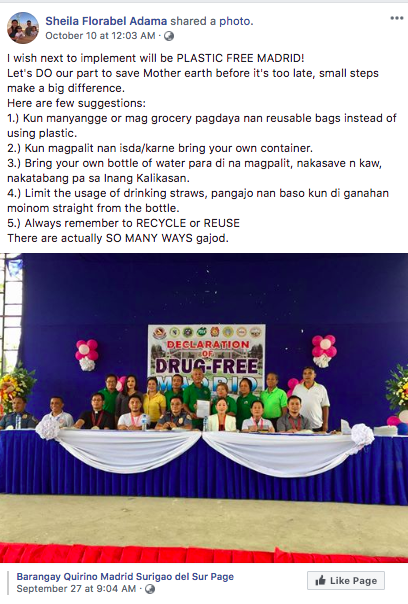 Provide tips. Maybe simple to you, but your advice could be a well of information to others. 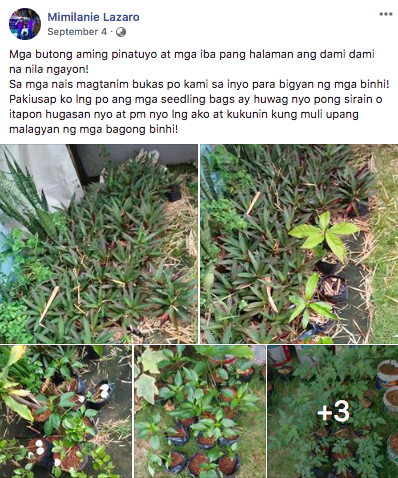 I learn a lot of vegetable planting tips from Mimilanie. My mom and dad have green thumbs but I’m always intimidated to do planting on my own. Mimilanie’s tips give me the confidence to try it. 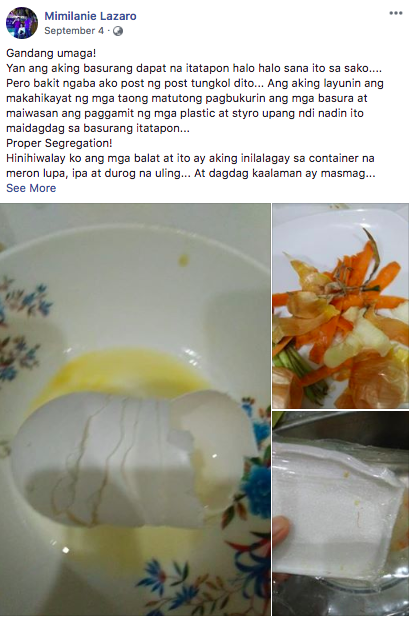 These Pinays are using their voices and talent to send across their message. Maybe, just like Vivian Maier, it’s not their intention to put it out there at first. Why do they need to? Not everyone might appreciate it. But all three took courage. Their desire to be heard is stronger than their fear. They strongly believe in something and wants the whole world (or at least their Facebook friends) to hear. I know you have doubts too. I’m definitely aware that you have issues to be seen and noticed. You don’t want to draw so much attention to yourself. Maybe you are insecure. Heck, you don’t even know if you have a talent for goodness sake. But believe me when I say that you are a diamond. You will always be unique. There is something in you that is different and special from everyone else. And you have to use that special gift. Maybe this article might help you figure it out. 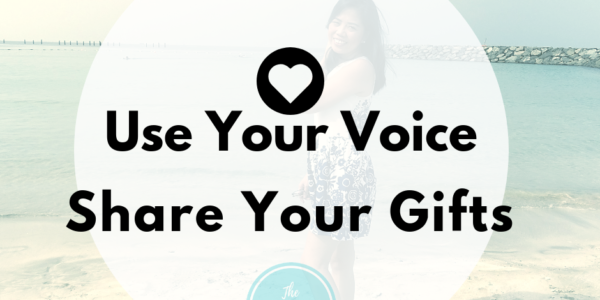 Here are 5 reasons why you should use your voice and share your gifts to good use. Sharing your story can have a great impact on others. It doesn’t need to have a sad backstory. It doesn’t need to be a happy ending. Just telling people about your experiences, how you do things, your lifestyle choices, your beliefs – all these can be a source of inspiration for others. What if, instead of using social media to rant or post your latest travels or dining experience, use the platform to share positive stories that can make others relate and reflect on their own lives? Talents or gifts shouldn’t be jaw-dropping or extraordinary. Just by being you, and sharing your own story, even without the drama, without the suspense, or the actions that we expect in a telenovela, you can make someone inspired. Our talents and voices are purposely created not just for ourselves but to help those around us. The question we need to ask ourselves: How do other people benefit from my gift or knowledge? Giving can be as simple as giving joy to others. Know how to sing or play any musical instrument? Post a video while doing it. Everybody says you’re a natural comedian? Post funny anecdotes and witty jokes to make others laugh. Love writing poems? Share your work on Facebook or create a blog. You never know who needs some cheering up today. Our world is already full of negativity and heartache. Don’t add to it and instead make this place a better and happier place. First, you are giving others the belief that they can do it. You are helping them build confidence in themselves because the fact that you can do it, it can probably mean that they can do it too. Also, by sharing your mistakes or misgivings, they feel less guilty or stupid of their own mistakes and misgivings. Second, once you received an acknowledgment or a thank-you note for something you have shared, this will give you the confidence boost to continue. It is actually a win-win situation. We get to exercise our talent and other people on the other end receives a benefit from it. Our talents can help us earn money. If we are aware of something where we are really good at, we can start small and make money out of it. Again, our money blocks will pop up and scream, “I don’t want money! I just want to help.” We don’t need to feel guilty recognizing that money is one of the purposes why we should use our talents. Everybody needs money and if you see money as a tool to reach more people, then this might help you embrace the income that comes along with your talent. Our gifts and the courage to use our voice are considered as our strengths. By constantly practicing them, we are giving ourselves the opportunity to improve and live a more positive life. Have you noticed that when we do something nice for others, we immediately feel happier, we experience positive emotions, we have more energy and have an increased desire to help more? If God sees us using our voice and talents to good use, He will bless us with more opportunities to apply them. I want you to make a promise to yourself to find that unique voice and special talent that only you have. It’s there in you. I believe it. How do you think others can benefit from your talent or knowledge? Will it inspire them? Will it make them smile? Will it cheer them up? Does it add value to them? What can you do to share your voice or talent? Post on social media? Reach out to your local community? Write to a newspaper? Is there a way that you can monetize this talent of yours? Again, if your immediate reaction is NOOOOO, I’d like you to pause a bit and ask this question to yourself – how can I use my voice and talent to attract money to free up myself from my own money-stress and focus instead on my advocacy and passion? And if you don’t need the money personally, you can allocate your talent earnings to fund your initiative – you can create a charity organization, a cooperative, a mommy group, etc. TWP always encourages you to dream big, believe it’s possible and take a lot of action. You can do it! If you need some help on figuring out where’s that damn diamond I am talking about, maybe a chat with me is what you need –> read here if you want to know more about yourself and your strengths. Have a good day girl. Love you!